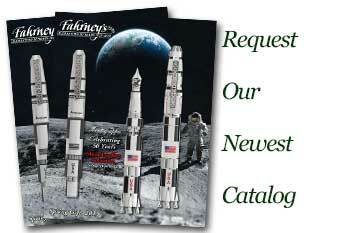 Order your Stipula Etruria Magnifica Ballpoint Pen today from FahrneysPens.com. Fine Pens, Refills & Luxurious Gifts – great prices & fast shipping. Stipula totally renews its signature collection, Etruria, with a beautiful series – Etruria Magnifica. Designed with value in mind, Magnifica gives you an outstanding pen made using traditional Italian handcraft methods and premium materials at an affordable price! The all-new Magnifica features intriguing hand-turned resins with one-of-a-kind swirling patterns in Ivory, Black Gold, Pyrite or Solid Black. The traditional Etruria décor on the clip and band is hand-cast in contrasting matte and polished white metal accents. The Stipula Magnifica is a wide-bodied writing instrument which provides balanced and comfortable writing. The fountain pen has a large, engraved nib crafted in steel and iridium available with regular or ITALIC MEDIUM points. Matching instruments include a twist ball pen and a capped rollerball. Magnifica!